As a full time student you will be enrolled in the Barber Theory class as well as hands on training and apprenticeship to get your 1,500 required shop hours. In as little as 10 months you can complete the entire course. $4,500 per semester which includes your starter kit and books. This course will prepare you to take the state board theory exam. This is for those who are already a part of an apprenticeship program. The cost is $1,100 and includes the required books. Jacob is the first student at Diamond Cutz Barber College to graduate and receive his barber license from the Virginia State Board of Barbers. 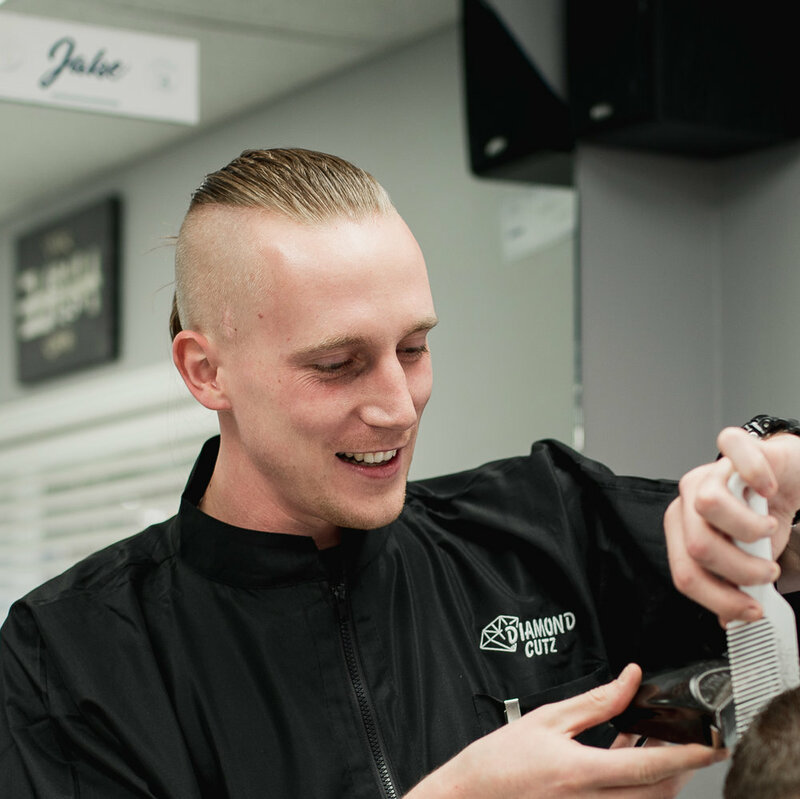 Jacob made the decision to change careers and is enjoying his success in building a clientele in the Barber business. He loves how being a barber gives him the chance to talk about sports and movies with his clients, both of which he is a true fanatic. Jerry recently passed his State Board Exams and received his Barber License. He spent some time at both of our locations while in the Apprenticeship Program. Jerry loves to keep up with the latest trends and styles and enjoys the challenges that each day brings in the Barber profession. Caleb is the most recent graduate of Diamond Cutz Barber College. Caleb has developed into one of the most versatile Barbers at the shop. He enjoys meeting new people each day, getting to know his customers and giving them an amazing haircut. Marcus is an experienced and talented stylist who made the jump from Cosmetology to Barbering. He has enjoyed the precision detail and design that the Barber trade demands. Jake recently became a licensed professional after graduating from the College. He has an exuberance that is contagious and a diverse skill set that has built him a solid clientele.